We all love that fresh new-car smell, but unfortunately it only lasts for a little while. 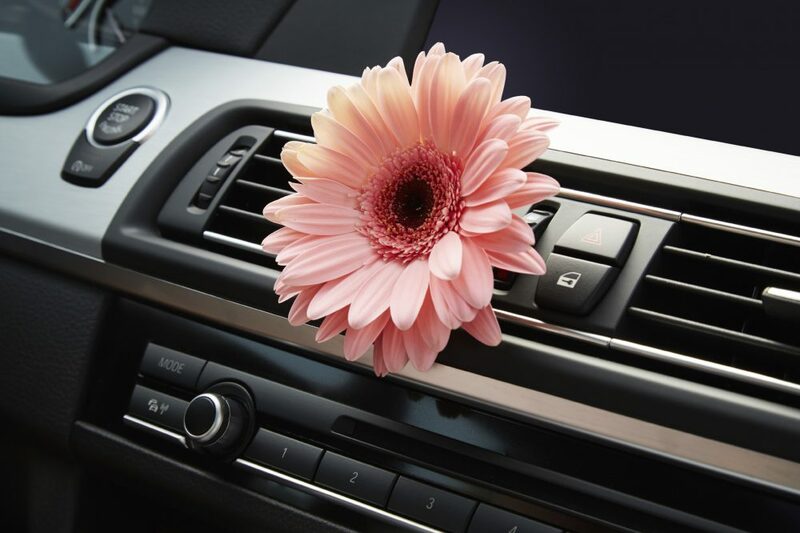 Here are some tips to keep your car smelling almost as good as new. Keep your car trash free. Remove all trash, food items, laundry, or other odor-causing items every time you get out of the car. You can either carry a small, portable trash can in your car or just take everything out by hand when you get to your destination. Avoid smoking in the car. Smoking in your car will not only cause bad odors, but possibly ruin your car’s upholstery. Keep the car dry by not leaving the windows open and using floor mats. Water leaks can cause mildew and mold, which is not only smelly, but bad for your health. Use spill-proof cups to prevent accidents. This cups can be found for a low price and save you the hassle of having to clean up coffee or soda from your car’s upholstery or mats. Keep an air freshener in the car at all times. To be most effective, choose one that neutralizes odors rather than covers them up with a “masking” scent. Vacuum regularly. Vacuum regularly to reduce odors that get trapped in the carpets and upholstery. Using a hand vacuum is the easiest, but you can also park close to a garage outlet at home and use a regular vacuum as well. Shake out the floor mats at least once a week. Wash them down with a garden hose if they are vinyl, or wash them in a large capacity washer if they are fabric.